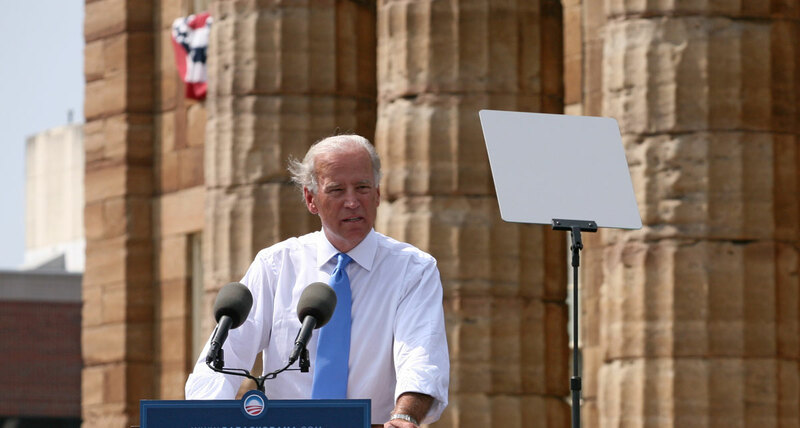 Many Democrats wish Joe Biden would have run for President in 2016. However, he backed down in the face of the Clinton machine. But he just made a statement that has everyone thinking he may challenge Donald Trump in 2020. The media has already moved on to the parlor game of trying to predict the 2020 Democrat Party nominee. Democrats are staring at a thin bench of candidates. Over the course of multiple election cycles, down ballot Democrats have been slaughtered due to the backlash from the American people over the failed Obama agenda. The party has suffered historic losses during the 2010, 2014 and 2016 cycles and is left with few nationally known quantities who measure up as credible Presidential contenders. One Democrat who fits that bill is Vice President Joe Biden. He was questioned by reporters about his interest in a future Presidential run and he did not rule out the possibility. Also, best part of this exchange: "(pause for about 4 seconds)"
Some Democrats and their allies in the media think Biden would have been a better candidate to run against Trump. These “experts” believe the Scranton-born Biden would have better connected with working class voters in the Rust Belt states that swung the election to Donald Trump. Critics point out multiple problems with this theory. Trump still would have been able to portray himself as the change candidate, while the sitting Vice President would have found it impossible not to be cast as the establishment candidate. Biden also would have no choice other than to execute the same strategy as Hillary Clinton – namely running for a third Obama term. As the 2010, 2014 and 2016 elections proved, Obama’s policies are not popular. While the American people liked Obama and were willing to vote for him, his personal popularity was not transferable to other Democrats. Given a choice between a non-Obama Democrat running on his agenda and a Republican campaigning on rolling back Obama’s policies, the American people overwhelmingly picked the Republican. Biden will also be 78 years old in 2020. The Democrats just lost with an older, life-long Washington insider. It’s unlikely the party’s voters will want to run such a similar candidate to their failed 2016 nominee. Do you think Joe Biden will challenge Donald Trump in 2020? Previous ArticleCould Hillary Clinton Team up With Mitt Romney to Steal the Presidency From Donald Trump? I hope you are right, I think that is what will happen in 2018 the Democrats will lose more seats and that will finish them off for good. Because there way of thinking will make this country a 3rd.world country. NO MORE. WAS THAT A JOKE,!!!! HA,HA,HA,HA….. NEVER HAPPEN.